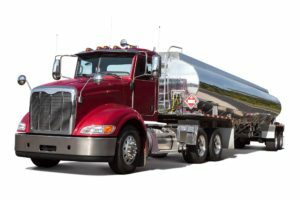 If you are looking to work with a company with the expertise to handle the complex area of Trucking Workers Comp, you have come to the right place. Inside Insurance has been in business for over 50 years and is top provider for workers compensation for a wide variety of industries. We have a department solely dedicated to assisting you with your work comp needs. We provide all of our clients with an in depth Experience Modification Rating chart to show them exactly what insurance carriers underwriter. This among many other reasons is why we proudly named our company Inside Insurance. By providing your transportation company with the “Inside” information you will be better equipped to save money now and in the future on your Trucking Company Work Comp Policies. We focus on 5 key principles when it comes to providing you with proper coverage. Coverage Before Price: What good are cheap rates if you are stuck with an insurance company that lacks service and expertise. Transparency: We provide each of our clients with an in depth report to help them develop and improve company safety. Multiple Solutions: We are not tied down to one company; we represent dozens of our nations top providers. We also have solutions outside traditional work comp for clients who qualify. Respect for your industry: We understand that Trucking is the lifeblood of the American economy. We work for you, and respect that we can be fired if we do not do our job. Partnership: We approach insurance as a chance to build a partnership. If you stay in business, we stay in business! We will never simply try to “sell” you insurance. We provide coverage throughout the US, and if we cannot provide coverage in your area, we have a network of trusted agencies that can! There are many challenges within the trucking industry, don’t let your trucking workers comp slow you down. Call today 866.672.9668 to find out why thousands of clients rely on the “Inside Advantage”. Working with Inside Insurance is more than an avenue to purchase insurance, we are a full service company offering payroll services, 401K management, Health insurance, and much much more. We look forward to assisting you with all of your insurance and financial needs.